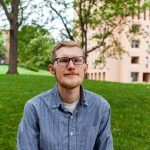 Erik Kojola is a PhD candidate in the Department of Sociology at the University of Minnesota, where he studies labor, work, and the environment. This research was led by Professor Phyllis Moen and was made possible through funding and support from a grant from the University of Minnesota Center for Urban and Regional Affairs Faculty Interactive Research Program, and the Minnesota Population Center. This blog is based on publications including “No More Lock-Step Retirement: Boomers’ Shifting Meanings of Work and Retirement” in Journal of Aging Studies and “Organizational Change Around an Older Workforce” in The Gerontologist.